Please see the attached files for mid-March 2015 News and Updates, distributed through our recent mailing. All New Yorkers Need Strong Rent Laws! On June 15, New York state’s rent and eviction laws are due to expire. There is a great need to renew and strengthen the laws, which unquestionably are the state’s most effective means of providing affordable housing. New York’s rent control and stabilization programs provide a modicum of affordability and security to over 1 million state residents. They set up a regulatory system, not a subsidy, so the cost to the state is nominal administrative fees. All of the laws are aimed at local housing emergencies, when there is a local rental vacancy rate of less than 5 percent. The laws have been under concerted attack from the real estate industry, which has been successful in three of the last four renewal years (1993, 1997, 2003) at weakening the laws’ effectiveness and decontrolling huge numbers of apartments from the state’s protections. In New York City alone, over 300,000 units have been decontrolled. In Westchester, we have lost over half of the peak of about 80,000 covered units. This has had ripple effects for countless other units that have been subject to upward pressure on rents. Much of our affordable housing crisis has been exacerbated by these decontrol measures. Mount Vernon United Tenants is the lone, non-New York City organization on the steering committee of the Real Rent Reform (R3) Campaign, which has been working on renewing and strengthening the laws since the last renewal campaign in 2011. 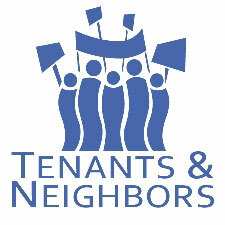 The R3 Campaign and the Alliance for Tenant Power are working in coalition to pressure state legislators and the governor to pass and sign an extension of the laws that significantly strengthens the laws, especially by eliminating the “high rent” vacancy decontrol mechanism. This measure, passed in 1997, helped accelerate the dramatic rise in rents by allowing landlords to exempt units from the law’s jurisdiction if the rent reached $2,000 upon vacancy. Many landlords have raised rents close to, if not over, the $2,000 threshold. In 2011 the state raised the threshold to $2,500, which only gave landlords an incentive to raise rents more quickly, contributing to an overall loss of affordable housing. We see the results of this increasing upward pressure on rents throughout Mount Vernon and Westchester. Even in some of the lower-income areas in Mount Vernon, more and more units are approaching the decontrol threshold. The pressure to raise rents on vacant apartments also provides landlords an incentive to harass tenants into vacating their apartments, especially those who have lived there for a long time and may have a more affordable rent. We must eliminate the motivation for these abuses by stopping vacancy decontrol. The upcoming battle in Albany for the renewal and strengthening of the rent laws promises to be a difficult one. Tenants can never compete with landlords in making political contributions to our state legislators. The real estate industry pours millions into their lobbying campaigns. 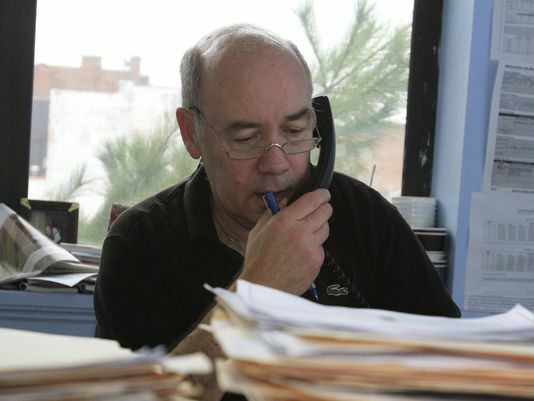 However, tenants can play a role as “citizen activists” by getting involved in the R3 Campaign and participating in legislative meetings locally and in Albany; writing letters and calling their legislators; and organizing within their buildings. Mount Vernon United Tenants is working with tenant associations and individual tenants throughout Westchester to ensure our rights are protected and extended. We are reaching out to tenants who live in rent-regulated units to get involved as a matter of self-preservation. We’re also asking for the support of those who believe in affordable housing and recognize the value that the laws provide in helping to foster and maintain racial and economic integration in our communities. If you’d like to get involved with the campaign, please contact MVUT at PO Box 2107, Mount Vernon, NY 10551 or by telephone at 914-699-1114, ext. 303. The writer is executive director of Mt. Vernon United Tenants.